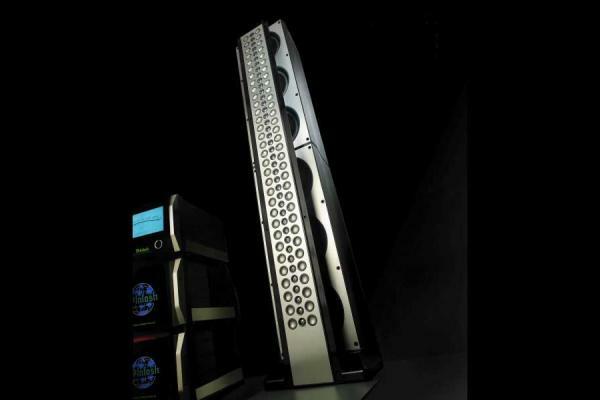 Loudspeaker for Discerning Music Lovers. ‘The Sonus Faber SE’ Loudspeaker is designed for music and home entertainment connoisseurs seeking the highest quality in craftsmanship and performance. The sleek design of ‘The Sonus Faber SE’ seamlessly integrates with any style of interior design and imparts audio perfection in a way that is simply unmatched by any other audio brand. There is a limited number of this highly prized loudspeaker, available only through LMC Home Entertainment, the exclusive North American retailer of ‘The Sonus Faber SE’ loudspeaker. ‘The Sonus Faber SE’ loudspeaker represents a milestone in home audio technology and is painstakingly handmade in Vicenza Italy, taking approximately four months to complete. This attention to detail ensures that ‘The Sonus Faber SE’ exceeds the demands of the most discriminating music loving audiophile. ‘The Sonus Faber SE’ loudspeaker is available for audition at LMC Home Entertainment in Scottsdale, the exclusive North American retailer of the luxury Italian audio brand’s flagship loudspeaker. Learn more by visiting our dedicated “the Sonus Faber SE” page HERE. LMC Home Entertainment is a North American destination for high end audio and luxury home cinema, with showrooms in Tempe and Scottsdale, AZ. LMC, “Legendary Music & Cinema” is more than a name – It’s a passion. LMC offers the North America’s finest collection of world-class audio/video components, most of which are designed and manufactured in the USA and Europe. By offering exclusive elite products, a highly skilled in-house design, build and installation team, LMC… The trusted source for the most discriminating of music and movie lovers. McIntosh XRT2K reference system is now on demo at LMC.